Midfielder Francis Coquelin is close to completing a move from Arsenal to Valencia, Gunners boss Arsene Wenger has confirmed. The LaLiga side earlier on Wednesday tweeted a picture of a suitcase, adorned with the initials 'FC'. Speaking after the goalless draw at Chelsea on Wednesday night, Wenger said: "He goes to Valencia. He didn't get enough games with us this season. He had an opportunity. I let him go." 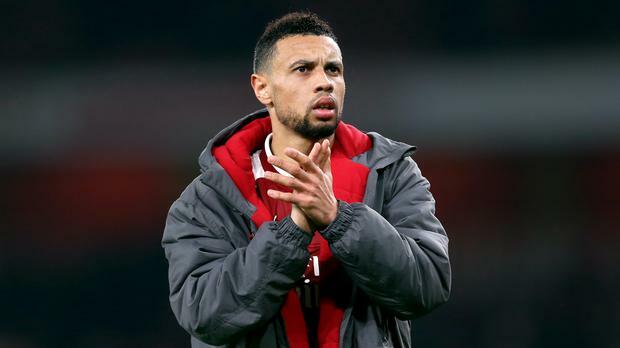 The transfer fee for Coquelin is reportedly £12million. The Frenchman has made just seven Premier League starts this season for the Gunners.